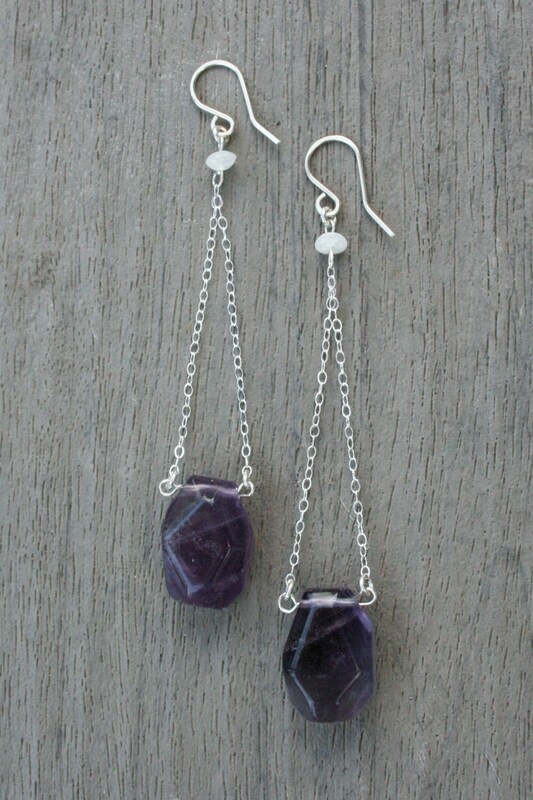 Fluorite is a gorgeous stone, full of color and beauty. 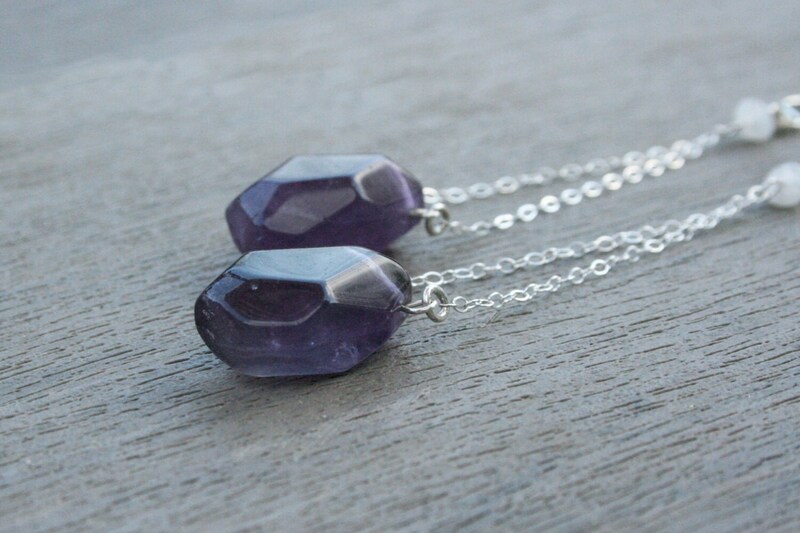 This stone is known to bring peace and clarity. It's believed to illuminated a cluttered or overwhelmed mind and enhance other stones. White moonstone enhances perceptions, vision, and dreams. 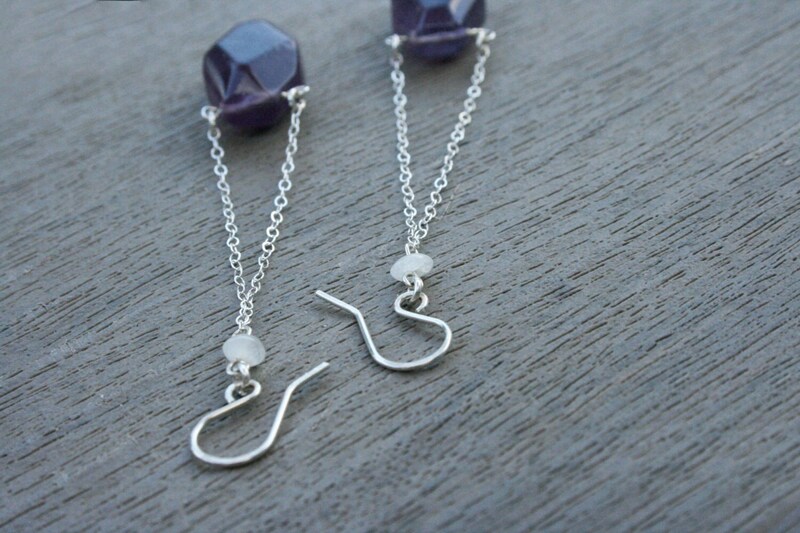 Wear these earrings as you move through life and any endeavor with a heightened understanding and calmness. 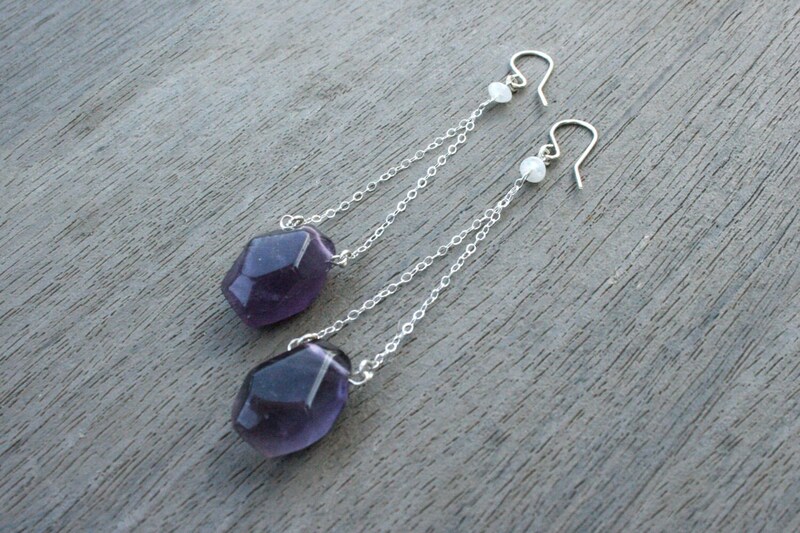 A deep purple fluorite stone hangs from two delicate, sterling silver chains. 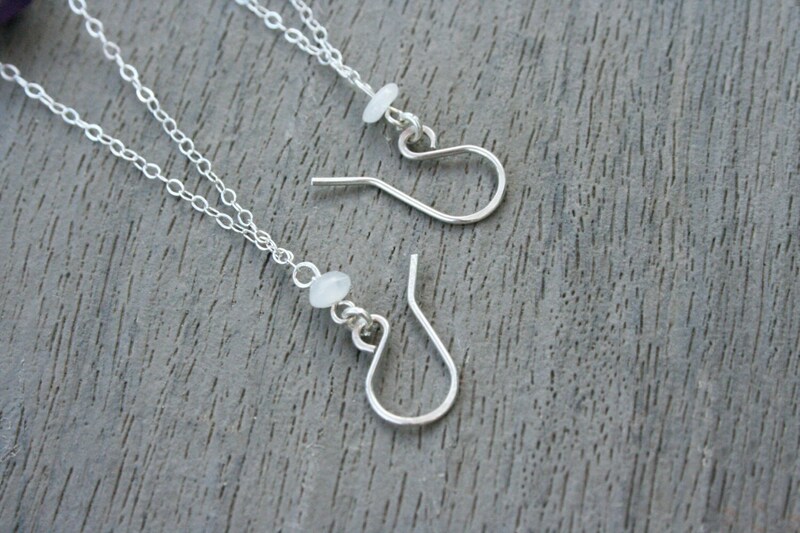 A simple, white moonstone attaches the chain to the handmade ear wire, formed out of sterling silver wire. These earrings hang at approximately 3.5" long.